Several Iowa Republicans are facing a serious ethics investigation after a participant in their self-described “hit piece” against Representative Scott Ourth ratted them out to the Iowa Ethics Board. The case revolves around Republican candidate Rebel Snodgrass, his volunteers and former Democratic Representative Dan Kelley’s involvement in a slanderous mailer sent to households in Warren County. 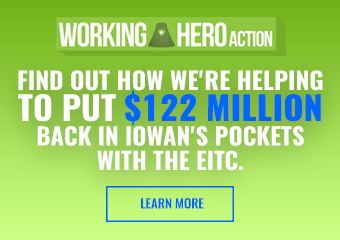 Late this week, the Iowa Ethics and Campaign Disclosure Board gave its director, Megan Tooker, subpoena power to launch a full investigation into the actions of Kelley and Snodgrass’ campaign. At issue is who and which committee actually paid for the anti-Ourth mailer. A request for investigation from Tooker lays out the full details of the situation. 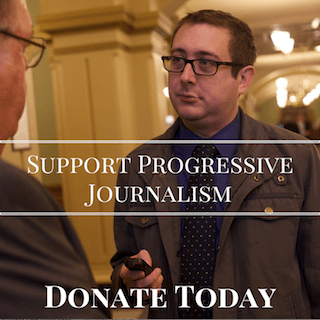 Around October 12, a letter was sent to people throughout House District 26, where Snodgrass was challenging Ourth for a second election cycle in a row. The letter, supposedly written by Kelley, made a series of vicious accusations against Ourth. It suggested that Ourth was responsible for the suicide of the chief of staff for a congressman that Ourth briefly worked for in the late 1980s because of a story that revealed the staffer’s homosexuality. Actual news stories from that time tell a much different story, one in which the chief of staff was exposed by multiple staffers for repeatedly sexually harassing his staff and firing ones who refused his requests to join him in inappropriate and compromising situations. Fallout from the event actually led to better protections for congressional staffers. The letter’s return address listed Kelley’s home in Newton, and the mailer said it was “paid for by Dan Kelley for State Representative.” Kelley was a Democratic state representative from Newton, serving a few terms before getting soundly defeated in a primary in 2016. His increasingly bizarre behavior back in his district contributed in large part to his defeat. Kelley began volunteering for Republican campaigns this past election cycle. As Tooker explained, this expenditure would be an illegal use of campaign funds, as candidate committees’ funds can only be used on races in their own district. The letter included the sentence, “I urge you to vote for the Republican in this race.” It also would mean that Kelley wouldn’t have to disclose the contribution until 2019, his next required filing date as a non-active candidate. But as it turned out, the funds may not have really been routed through Kelley’s old campaign account at all. Instead, a campaign staffer for Snodgrass admitted to Tooker that the funds came straight from Snodgrass himself. John Thompson has had his own long, colorful career in Republican Party politics. He lost his seat on the State Central Committee in part due to the distractions, and was involved in an ethics complaint earlier this year that involved Snodgrass and Thompson’s brother, Phil Thompson, who won a separate race for state representative this year (it was later dismissed). Parker said that Thompson wrote the letter himself and then printed the letter at Thompson’s own Spirit of 76 printing company, of which both Thompson and Snodgrass are co-owners. Parker then picked up the letters and took them to Snodgrass’ office, where Snodgrass handed Parker $2,400 in cash to cover the mailing expenses. Snodgrass gave him a little more money later to finish the mailing. Snodgrass himself has become relatively well-known in Central Iowa for his “unique” campaigns (and for his continued electoral defeats). The entire operation seemed to be separate from Kelley, whose name and committee was apparently used simply to cover the financial tracks and make it appear that the “hit piece” didn’t come from Snodgrass. Parker informed Tooker that Snodgrass gave him a check for all the other official mailings that were done with the campaign; this was the only time he was paid in cash. The letter created quite a stir when it began hitting mailboxes. Starting Line received many emails and messages from HD 26 residents informing us of the letter. Tooker must have as well, as she called Kelley shortly afterward to inform him that such a mailing from one committee into a different district was illegal. “I am very frustrated with your lack of candor,” she added. Kelley responded to Tooker’s questions with a long letter that probably put him in more legal jeopardy. In it, he tried to explain the real reason for the letter. 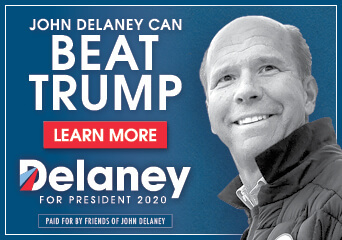 “My friend told me that he would specifically pay for mailings to attack Democrats to establish a reputation for me as a Republican candidate,” Kelley wrote. Tooker also advised Kelley that making any expenses in other districts would have to be done with a PAC, not a candidate committee. She also noted that he couldn’t start up a PAC in his name so long as he still had an active candidate committee set up. Several days after Tooker and Kelley’s interaction, a new PAC was registered with the Ethics Board. It was called Dan PAC USA. That move should only get Kelley in further trouble, as his defense for using his candidate committee in the initial letter was that its purpose was to benefit himself personally. Creating a PAC to get around those rules about helping out candidates in other districts seems like admitting that the real purpose was to help Snodgrass, who allegedly personally paid for the mailer. There’s other issues for Snodgrass. Tooker wrote that Parker, the campaign staffer, had been paid by the campaign with a corporate check from Rebel’s Custom Designs, Inc., the company that Snodgrass runs. That’s another illegal financial action, as corporate entities can’t make in-kind contributions like that to a committee. The Ethics Board gave Tooker the power to launch a full investigation with subpoena power, so Snodgrass, Kelley and Thompson’s legal problems may be just beginning. This is certainly not the first time this small group of peculiar Republican activists’ antics have made news (Starting Line has kept a close eye on them for a while), but it may be the most consequential. Phil Thompson has long been involved with his brother and Snodgrass’ capers. He already found himself involved in a previous ethics complaint with Snodgrass and the Iowa Firearms Coalition earlier this year. It was interesting to see someone with his background win the Republican primary to replace Chip Baltimore in House District 47, which he won in a narrow victory in the general election. While the Snodgrass/Thompson/Kelley group will be facing more legal scrutiny after this year’s election, one of them will be serving in the Iowa House come January. You can read Tooker’s full report here. Ethics don’t exist only winning is important to these guys whom are lower than the underbelly of a snake ! So along with the other snakes running the state nothing will really come of this that’s meaningful . A real waste of time with all the other things that are more important for democrats to be concerned with . Corruption is part of the ultra-conservative self-righteous DNA so you can’t eliminate it ! I sure wouldn’t argue with anything said above. I do wish we had better insults, though. Snakes are wonderful animals that play vital ecological roles, and in Iowa, most snake species are declining, threatened, or endangered. What we need are great snappy new insults that don’t involve wildlife. The only lame one I can come up with at the moment is that I’d much rather share a bus ride with Darth Vader than Snodgrass & Co.
I’m tiered of pussyfooting around with these ultra-conservatives and taking the intellectual highroad . There are simply not enough voting intellectuals . Maybe you can find more democrats like Hubble so you can take the highroad and lose again ! in DC on Sen. Ernst’s staff castrating some of the GOP politicians. It’s fascinating that your article mentioned there was an earlier ethics complaint that “involved” John Thompson and Rebel Snodgrass without mentioning that all charges were dismissed by unanimous 4-0 vote of the ethics board. This earlier charge managed not only to lie about Rebel Snodgrass, but also slandered the NRA Political Victory Fund, the Iowa Firearms Coalition and Phil Thompson. 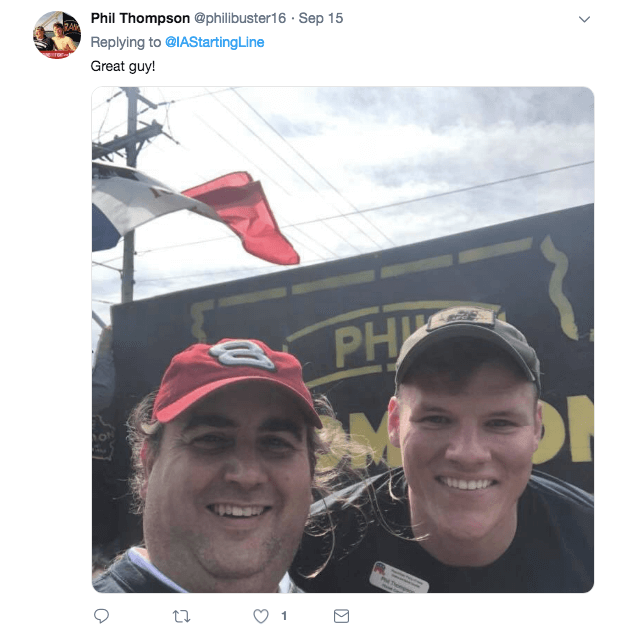 It made the outlandish claim that Phil Thompson was fired from the NRA Political Victory Fund for unethical conduct when, in fact, he was never fired, never engaged in unethical conduct and completed his contract with the fund. The complainant, after saying she would talk to Megan Tooker, failed to do so. There was zero evidence for the most serious charges. Why didn’t you mention that? Your article mentions that Rebel Snodgrass, John Thompson and Phil Thompson were “involved” in an ethics complaint earlier this year. You somehow failed to mention that all charges were dismissed by an unanimous 4-0 vote of the Iowa Ethics and Campaign Disclosure Board. 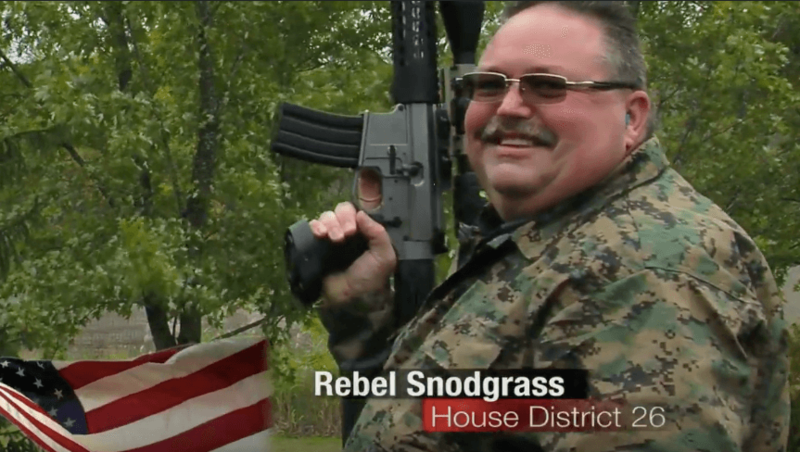 This collection of lies not only defamed Rebel Snodgrass, but also slandered Phil Thompson, the Iowa Firearms Coalition and the NRA Political Victory Fund. This complaint falsely stated that Phil Thompson was fired from the NRA PVF for unethical conduct when he never engaged in such conduct and was never fired but fulfilled his entire contract with NRA PVF. The complainant told Megan Tooker she would talk to her about the complaint, but then never responded to Ms. Tooker’s attempts to contact her. The level of vitriol against Snodgrass in this campaign can be measured by the above obnoxious comments, some of which are anonymous, and the repeated theft and destruction of Rebel’s campaign signs. Gee whiz, referencing the Iowa Ethics & Campaign Disclosure Board for whats right or wrong is like asking the fox in the hen house to give an accurate count of the chickens nesting !!!!!!!!!!!!! !